Welcome to episode 50 of The Worried Writer! I cannot believe it has been over four years since I started this podcast and, I must admit, I’m a little bit proud! Thank you so much for listening and, if you’ve been listening for a while or have ever tweeted about the show or sent me a message or asked a question or recommended the podcast to a friend, please know that you are the reason I have made it this far. This podcast has been life-changing for me. I feel more confident than I did when I started, and the conversations I have had with other authors has helped me to refine my own working process and to feel less alone and weird in my self-doubt. That’s the key, really. I am still as filled with self-doubt and fear as I was before, but I am now solidly aware that it is completely normal and an occupational hazard of this profession. Whereas I used to feel that my various neuroses and tendency to procrastinate meant I wasn’t cut out to be a writer, now I know for sure that it’s part and parcel of creating new things in the world. And while there is a variety of experiences and intensity, we all feel it to some degree. I’ve also made lots of new writing friends, and feel more a part of the writing community than I did before. The main thing, however, has been the satisfaction I get from helping others. It means the world to me to hear that I’ve helped another writer feel less alone or to gain a little bit of motivation. Joanna Penn’s Creative Penn podcast this week featured Damon Suede and his book Verbalize. They were talking about the importance of language and Damon said that he had come up with verbs to describe himself in his professional capacity. As soon as he said that, I started to think about what my words would be… Joanna must’ve have been doing the same as she ended her show by saying that her word would be ‘create’. That’s a great one, but thinking about this podcast, and the WW side of what I do, I came up with ‘comfort’. I hope that I inspire and enthuse and energise people, but I do think there are plenty of folk who do that better. Ultimately, I want you to feel comforted. To know that I empathise with your writing struggles, that I battle them myself, but that we can do this thing. It is hard and it is wonderful and, through learning more about ourselves and our own particular processes and strengths, and by being kind to ourselves, we can do it. And succeed. Okay! Today’s show is a just me episode. I haven’t done one for a while and I thought it would be fitting for my fiftieth! Also, I have had a few questions from my lovely patrons, but which I think will be widely useful. My kind patrons have said they are happy for their questions to be answered on this show so that everyone can benefit. A huge thank you to my supporters on Patreon. While I wouldn’t have got to year three without the amazing feedback and support of our little podcast community, I definitely would not have got to this point without my Patreon supporters. Knowing that you value the show so much that you are willing to support it financially is huge. I really can’t articulate how big a deal it is to me. Head to patreon.com/worriedwriter to support the show from as little as $1 a month. For $2 a month, you get access to the exclusive audio extra every month (there are thirteen backlist extras to enjoy right now!). Thank you! A quick writing update before I get to the questions. Having written ‘The End’ on the second Crow Investigations book, I then immediately went back to work on making it a proper, readable draft. As long-time listeners know, my first drafts are so awful I can them zero drafts instead. This month, I got to The End on something I would consider a proper draft. It’s still going to need editing and, for me, that usually means adding more words and scenes as I tend to underwrite, but it’s a readable draft which I have given to my husband who, handily enough, is my first reader. I’m a bit behind where I wanted to be at this point, but I will make my planned publishing month of May. It’s just likely to be at the end of May, rather than the beginning. In other news, I revealed the cover and title to my Sarah Painter mailing list (sign up here!) and had lovely feedback, which is very reassuring. 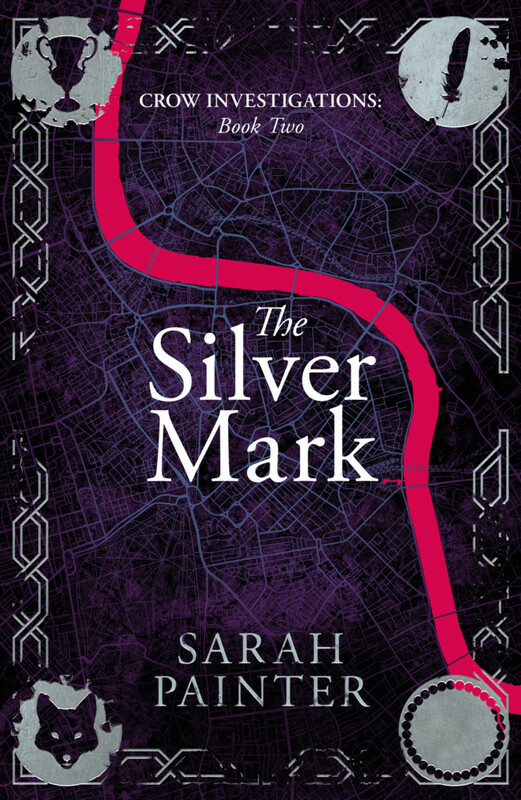 It’s called THE SILVER MARK and here is the cover. Meep! I think the designer has done another brilliant job and I’m absolutely thrilled. For those interested in how running a hybrid career works, I thought I would also share that The Night Raven was chosen for a Kindle Daily Deal this month. It went very well and I grabbed screenshots of TNR with the orange bestseller flag and topping a few category charts. I’m mentioning this not to boast, but to reassure you that these kinds of deals are still available, even when the book is independently published. Also, a few days later, I was contacted by a prominent audiobook publisher to enquire about the audio rights for TNR and TLG. My agent was already in talks with another publisher for these rights, and it’s too soon for me share any definite news, but I just wanted to let you know as it demonstrates that going hybrid is possible. It isn’t a case of indie publishing or traditional. You can do both. And independently publishing a book doesn’t mean you won’t be able to license the subsidiary rights to traditional companies, too, if you so wish. 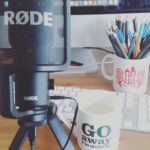 In this episode I answer listener questions about my methods for tracking daily and weekly goals and word counts, tips for writing dialogue, and how to protect your ideas when sharing your work with fellow writers. If you have a question you would like answered on the show contact me via email or Twitter or leave a comment on this post. If you can spare a few minutes to leave the show a review on iTunes (or whichever podcast app you use) that would be really helpful. Ratings raise the visibility of the podcast and make it more likely to be discovered by new listeners and included in the charts. She has also got a successful non-fiction brand with a range of diet and lifestyle books based on the 5:2 intermittent fasting method and regularly teaches other writers through courses, events and her consultancy service. Or find Kate on Facebook, Instagram or Twitter. 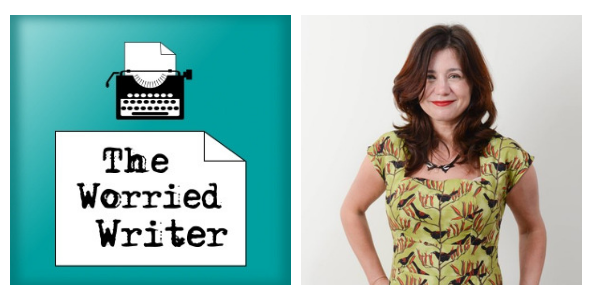 Kate says that writing pitches (or ‘hook lines’) for books is her ‘superpower’, and she shares her knowledge – and enthusiasm – on the subject in her online course: Plan, Pitch & Sell Your Book. In seven steps, you’ll learn how to attract an audience and overcome rejection by identifying what is unique and irresistible about your work. It’ll help you to hone your story or concept – without losing the excitement. The course is reasonably-priced at £99, but Kate has generously offered a SPECIAL 50% DISCOUNT for Worried Writer listeners. Thank you, Kate! I give thanks for the wonderful Patreon support and a shout-out to new patrons. I love the ‘community within a community’ that we’ve created over on Patreon and I really enjoy making the audio extras (which go up in the middle of every month). 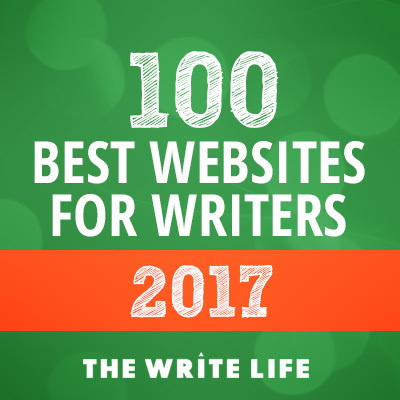 Thank you so much to everyone supporting The Worried Writer in this way – it means so much to me. 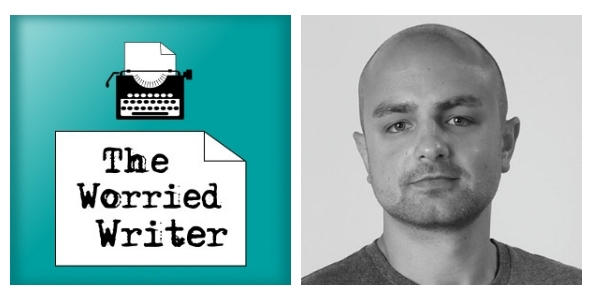 To become a Worried Writer insider and to support the podcast – for as little as $1 a month – head to The Worried Writer on Patreon. If you’ve got a question you would like answered on the show, contact me via email or Twitter or leave a comment on this post. It’s always all about the idea for me… An idea either grips me or it doesn’t and once it’s gripped me, I have to do it. When I’m very stuck I consciously change my environment. My one superpower seems to be to listen to someone’s book idea and go ‘okay, that’s what you need to put in your pitch, and this is your hook or your elevator pitch… It’s just something I’ve got a knack for. All my writer friends ask me to do this… Partly, I think, it’s my background in journalism and television. You can’t expect everybody to love your book but you must have a clear idea of what you’re offering them. 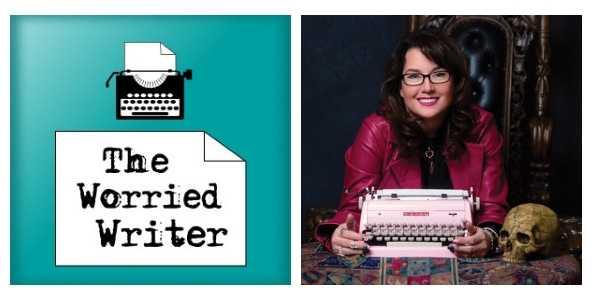 My guest today is author and editor Kerry Barrett. 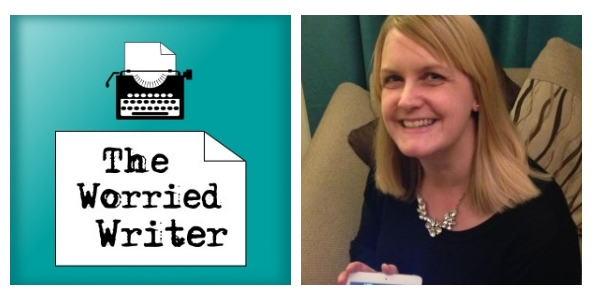 Kerry Barrett is the author of eight novels, including the Strictly Come Dancing-themed A Step in Time, and The Girl in the Picture, about a crime novelist who solves a 160-year-old mystery. Kerry’s latest novel is a time slip called The Hidden Women. Or find her on Twitter or Facebook. I talk about my recent live interview on the World Anvil Twitch stream (video now available on YouTube HERE). And here is the link to World Anvil – an app which helps you to create and organise your fantasy world for book-writing or RPG gaming. contact me via email or Twitter or leave a comment on this post. This is my fourth year of setting my goals in public. I have been making plans – both personally and professionally – for a long time, but the added accountability of sharing them definitely helps me to stay on track. In case you’re interested, the previous posts are here: January 2016, January 2017 and January 2018. 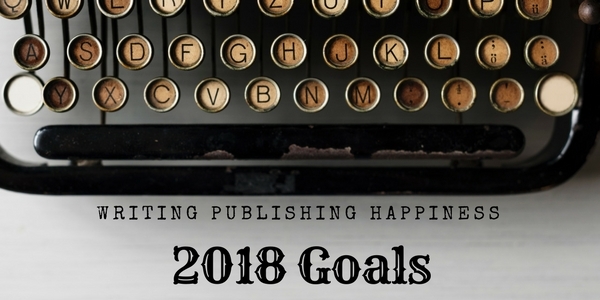 Throughout 2018, I also swapped goals and progress with two writer friends on a weekly and monthly basis, and that was hugely helpful from both a productivity and happiness standpoint. I highly recommend finding an accountability partner if you can! 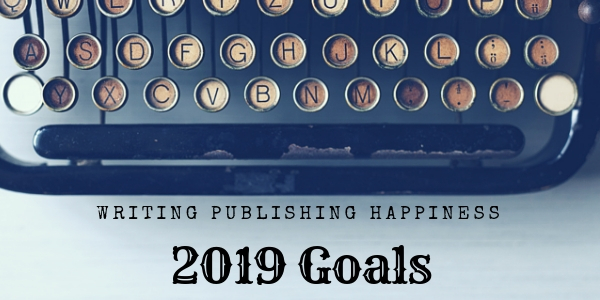 So, I will continue with the same system in 2019 – sharing my goals and progress both publicly on The Worried Writer and privately with my friends. As always, I want to maintain focus on writing as my primary goal each and every day. I will write first thing, block out time in my schedule for writing, and track my word count (and time spent writing). I am also going to practice dictation. 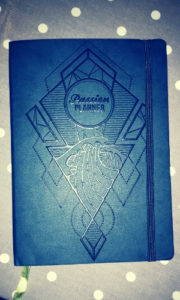 I began experimenting with it at the end of 2018, but need to give it more of a go… I will start with non-fiction and note-taking, as that feels more doable than fiction, and re-read Christopher Downing’s Fool Proof Dictation book. I have two books in progress at the moment: the second Crow Investigations mystery and something I have described to my agent as ‘magical realism Downton Abbey’. I am thoroughly enjoying both and want to finish them in the first half of 2019. To stretch myself (and try for my most productive writing year ever), I’m planning to write the third Crow book in the second half of the year. For non-fiction, I am considering writing the second Worried Writer book during the second half of the year, but I am concerned that might be a little bit too ambitious. Especially as I am feeling very fiction-focused at the moment. However, I am planning to write six articles for the site during the year, and some of those might form the basis of chapters in a new non-fiction book at a later date. Siskin Press will be two years old on the 1st March and I want to do a review of the company’s progress, including a breakdown of sales and different streams of income. I want to make sure that I am making the most out of the creative assets at my disposal. This includes making sure that existing titles are in as many formats as possible and are widely available, and continuing to learn and improve my marketing/advertising activity using Amazon, BookBub and Facebook. My author website is due an overhaul and I’m thinking of purchasing a pro WordPress theme to make this easier. I want to continue to build my newsletter list and to improve my newsletters! 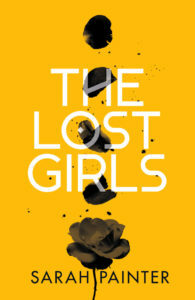 Publish The Lost Girls, my supernatural thriller, at the end of January. Put existing audio books ‘wide’ with Findaway Voices. Either secure audio book publishing deals for The Night Raven and The Lost Girls or get the audio books made myself. I learned lots about advertising and marketing in 2018. However, in 2019 I want to put far more of my knowledge into action, particularly with Facebook, Instagram and YouTube. I am going to try some video this year. Even if I decide I hate it and don’t even release the video, I need to give it a go! As I am now a small publisher as well as a writer, I want to learn more about being a good publisher and improve my skills… One specific area is writing good book blurbs. This a definite skill and not one which comes naturally (to me at any rate). I have Bryan Cohen’s book How To Write A Sizzling Synopsis and I intend to work through it this month. Once again, I am putting the goal of scheduling ‘artist’ days (getting out and about to refill the creative well) onto my list. Perhaps this will be the year I manage it! I also want to get out of the habit of staying on the computer, even when I’m not being productive, because it fees more like ‘work’ when I should just close the laptop and pick up a book! Last year was my worst walking/exercising year for a very long time. I was devastated by grief and felt physically exhausted from May onwards. I know that I need to be kind to myself and that my emotional state is still pretty fragile, but I want to build up my physical fitness to improve my energy levels and mental wellbeing. I have a lovely new walking accountability partner for encouragement and I’m planning to slowly increase the frequency and length of my walks over the next couple of months. 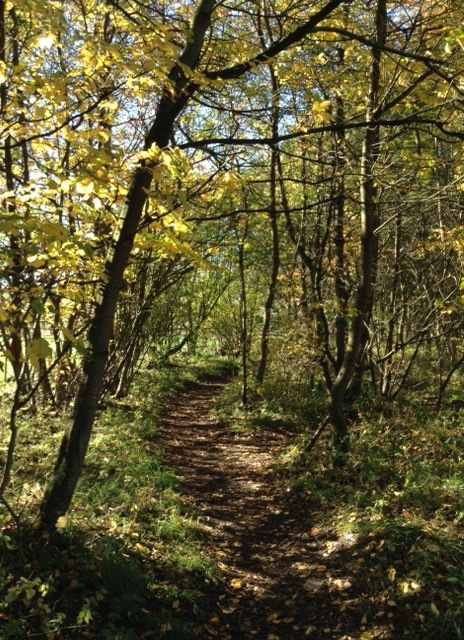 Do some longer walks and hill walks. Continue playing badminton and add in yoga class (or schedule time to do yoga/stretching at home). I had breathing exercises on my list last year, but I discovered I’m actually asthmatic. The inhalers have made a huge difference! Continue to improve my newsletter and increase the size of my reader group/mailing list. Continue with monthly episodes of the podcast and the patron-exclusive audio extras. Research the creation of an online course based on Stop Worrying; Start Writing. Attend at least one professional conference. I’ve bought my ticket for 20BooksEdinburgh and am really looking forward to it. I am also considering visiting The London Book Fair in March. Your turn! What are your goals for 2019? Feel free to share them below or on The Worried Writer Facebook page. My guest today is Adam Croft. With more than a million books sold to date, he is is one of the most successful independently published authors in the world. 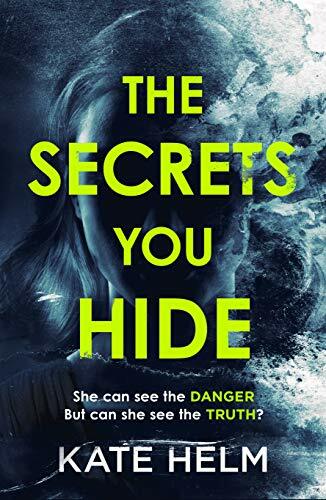 His psychological thrillers include the hugely successful Her Last Tomorrow and Tell Me I’m Wrong, and his Knight & Culverhouse crime thriller series has sold more than 250,000 copies worldwide. Adam’s Kempston Hardwick mystery books are being adapted as audio plays and he has just stepped into non-fiction with The Indie Author Mindset. Adam has been made an honorary Doctor of Arts by the University of Bedfordshire in recognition of his achievements and he runs a crime fiction podcast with fellow author Robert Daws. For more head to AdamCroft.net or find Adam on Twitter or Facebook. I recorded this introduction on 20th December 2018 when I wasn’t quite ready to set my 2019 goals. They will go up in a blog post next week and I will discuss them in February’s episode. Also, I reveal another new novel! 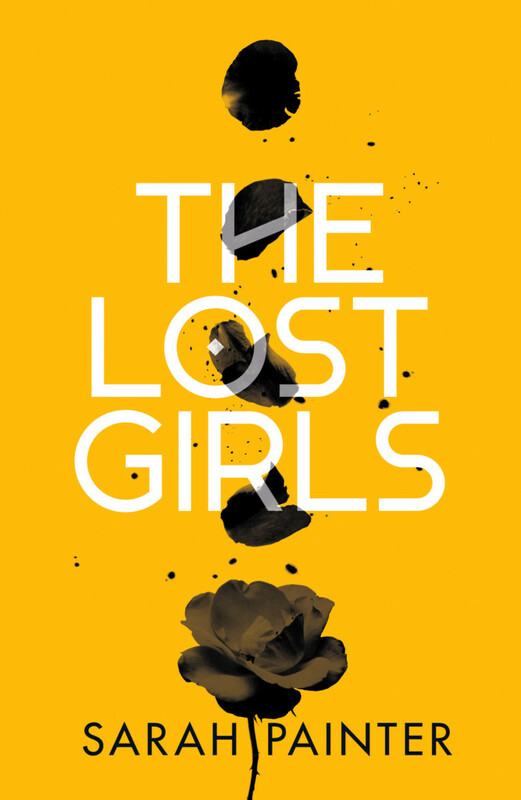 My supernatural thriller, THE LOST GIRLS, is out this month. Huzzah! 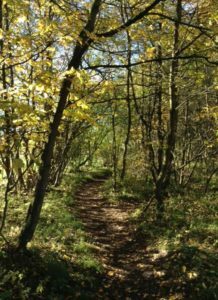 If you are interested in my fiction, do visit sarah-painter.com and sign up for my reader newsletter. I give thanks for the wonderful Patreon support. 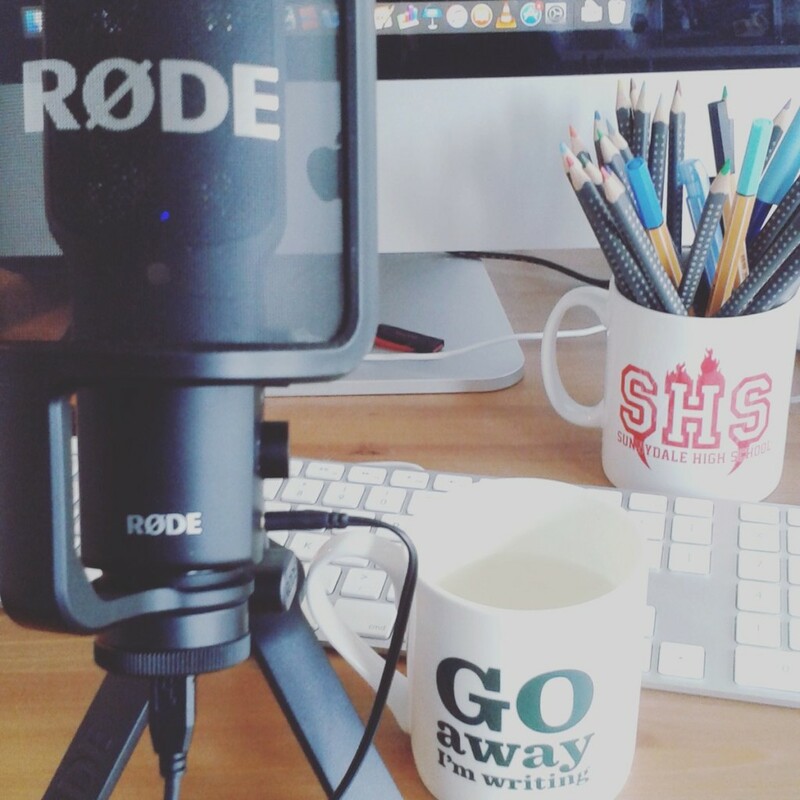 To become a Worried Writer insider and to support the podcast head to The Worried Writer on Patreon. My guest today is urban fantasy superstar Sherrilyn Kenyon. Sherrilyn is a number 1 New York Times and Internationally bestselling author. Her first novel came out in 1993, she has over 70 million books in print worldwide and she writes in several successful series such as the Dark Hunters and Black Hat Society. Her latest Dark Hunter book (number 28) is Stygian. 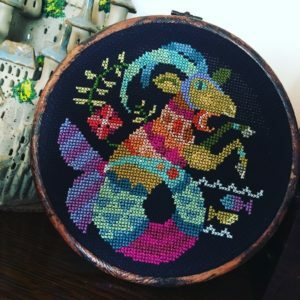 I spoke to Sherrilyn in the summer while she was busy packing for DragonCon and she was incredibly nice and upbeat, despite having just come back from a visit to the dentist. A real professional! 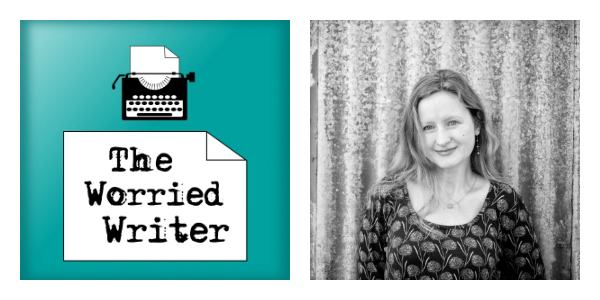 Sherrilyn shares the worst rejection of her career, secrets of longevity in publishing, and her writing process. 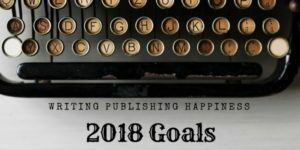 I go through my goals for 2018 and talk about how I’ve done, and some lessons learned. I mention my on-going attempts to improve my concentration and focus after reading Cal Newport’s Deep Work. Here is the link to my 2018 goals (set in January). I give a shout-out to new patrons supporting me via Patreon. Thank you so much! You can support the show for as little as $1 per month and, for supporters at the $2 and above level, there is an exclusive mini-episode released in the middle of every month.